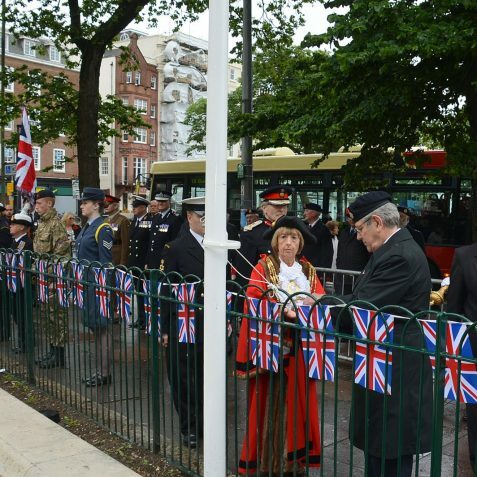 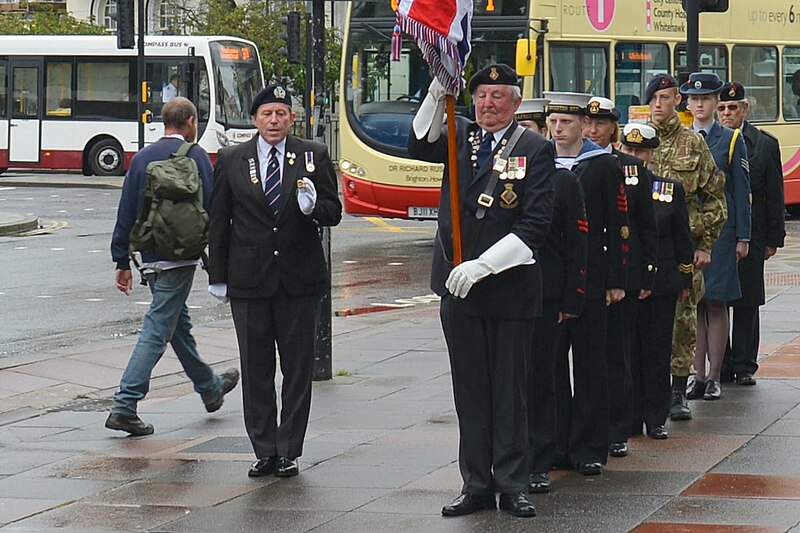 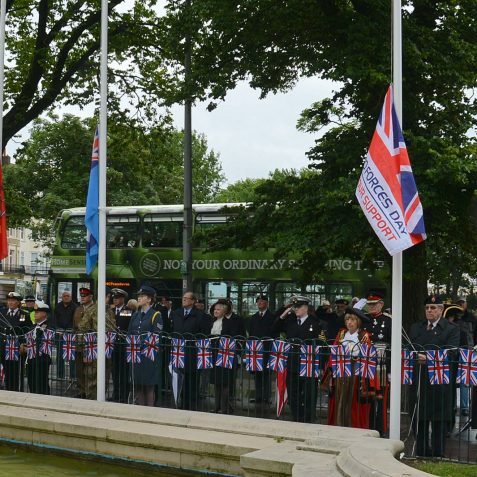 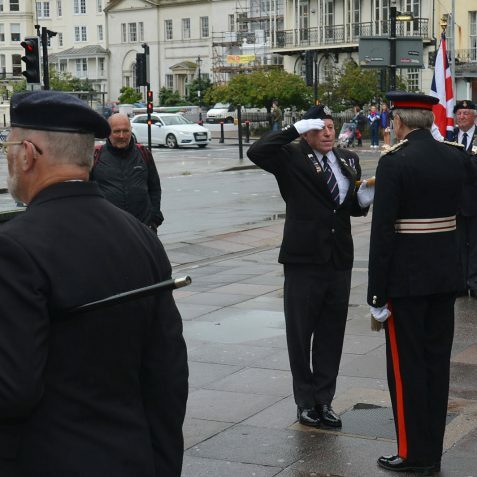 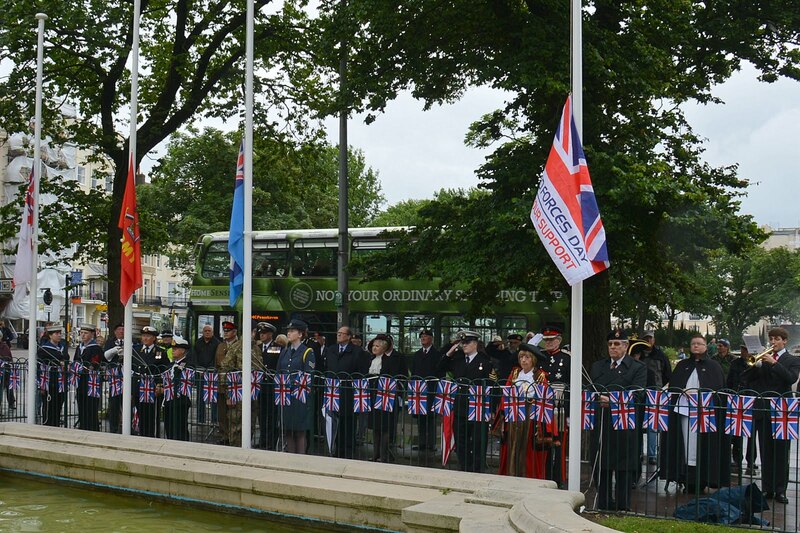 A flag raising ceremony was held today at the War Memorial in the Old Steine, to mark the beginning of Armed Forces Week. 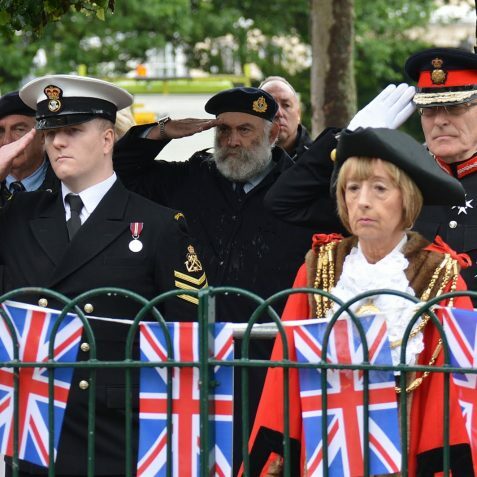 The week is intended as an opportunity to show support for the men and women who make up the Armed Forces community: from currently serving troops to service families, and from veterans to cadets. 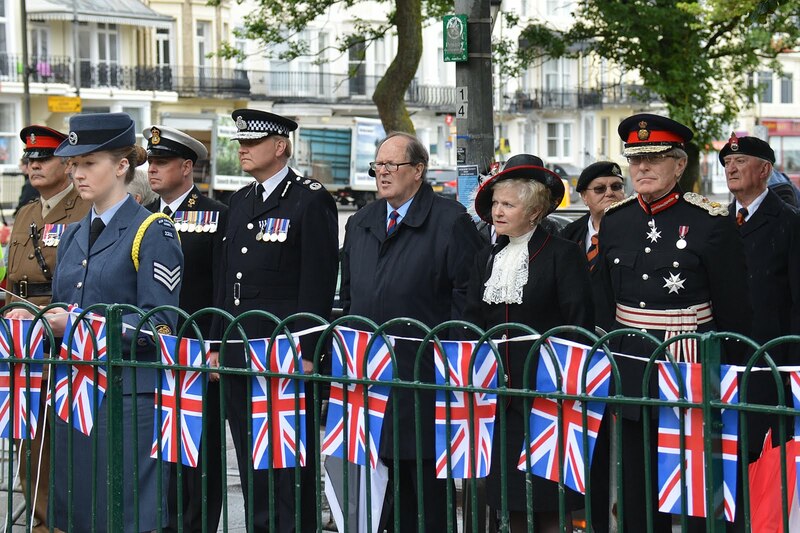 The welcome address was given by the Lord Lieutenant of East Sussex, Peter Field. 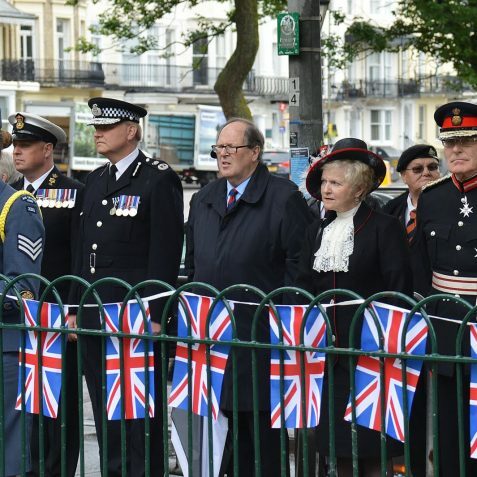 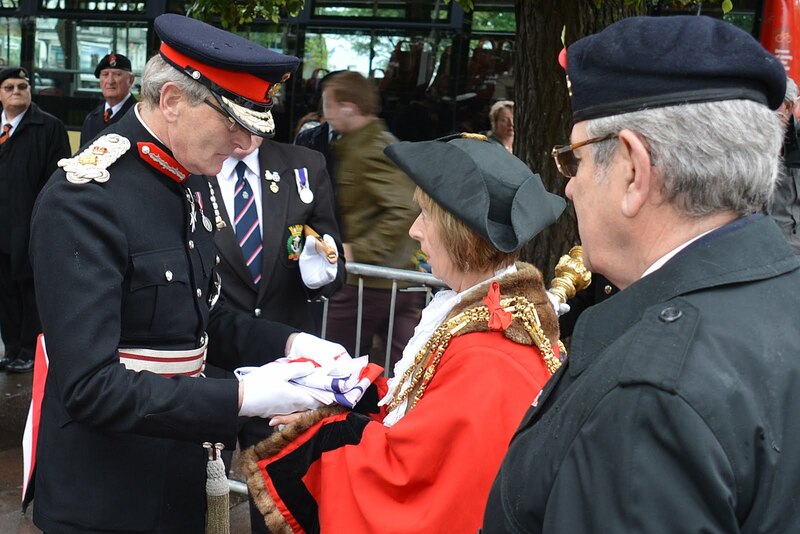 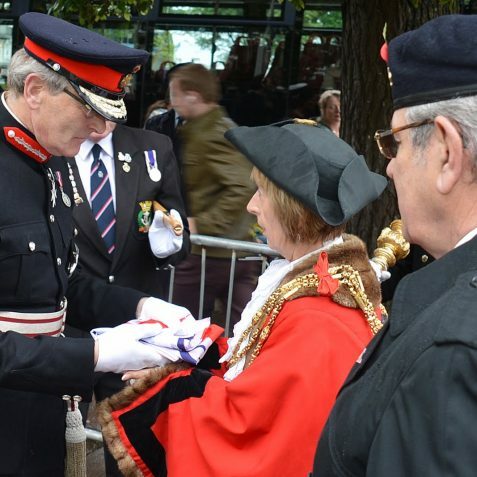 The gathering included the Mayor of Brighton and Hove, Councillor Lynda Hyde;High Sheriff of East Sussex, Juliet Smith, Chief Constable of Sussex, Giles York, representatives from the Armed Forces, service cadets, members of veterans associations; the Parade Marshall was Tony Avery. 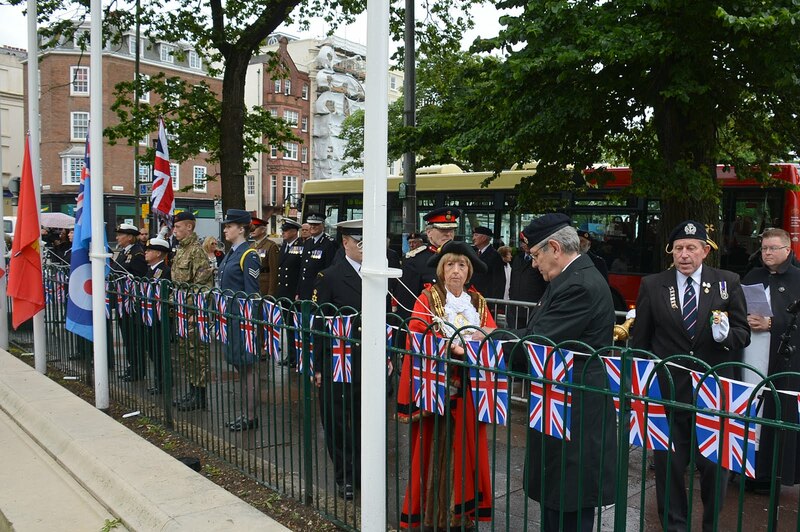 Flags for each of the three services were hoisted by the Lord Lieutenant’s cadets. 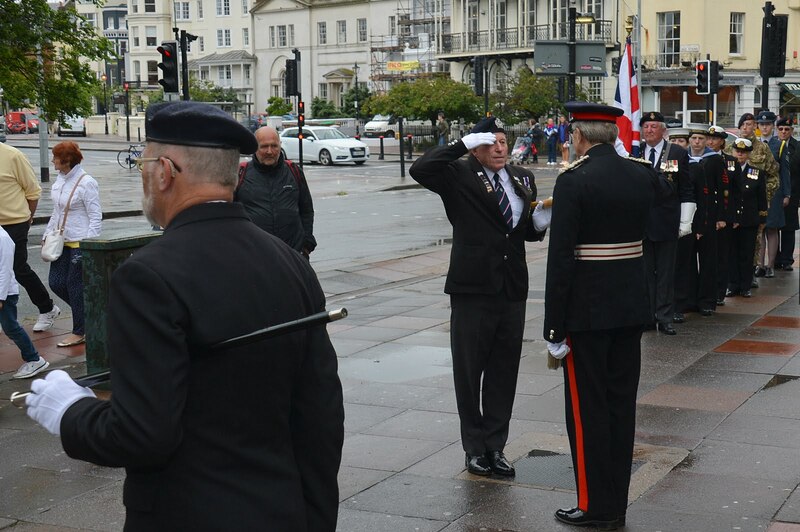 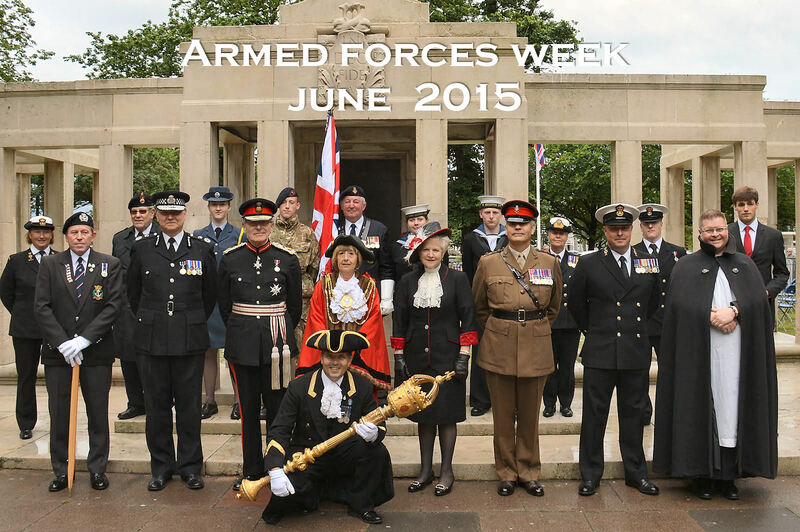 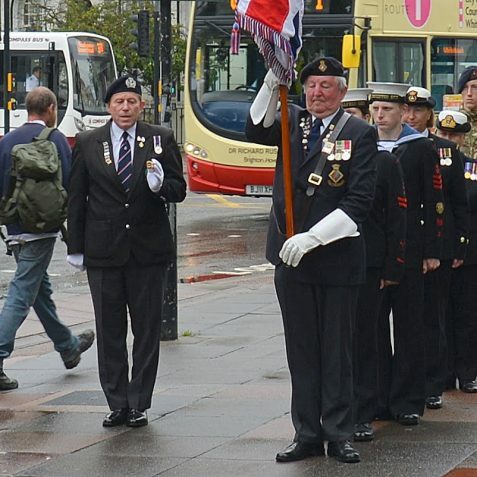 The Armed Forces flag was hoisted by Bruno Jones from the Royal Sussex Regiment Association. 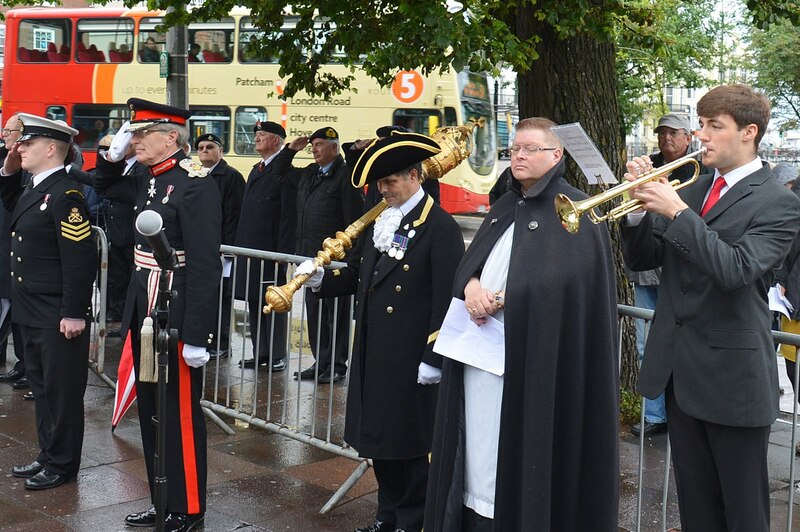 The ‘Last Post’ was played by bugler Mr Jack Morrell while the flags were at half-mast. 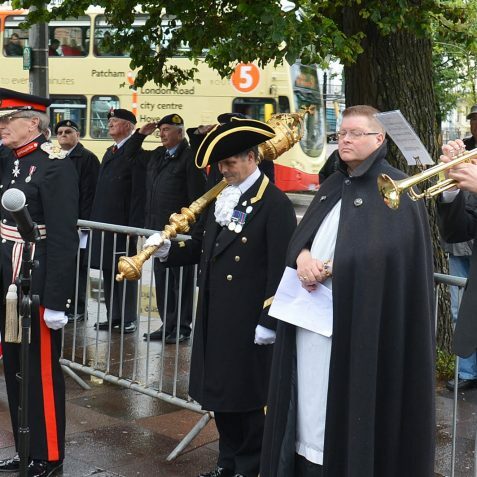 When Reveille sounded the flags were raised once more and prayers were led by Father John Wall. 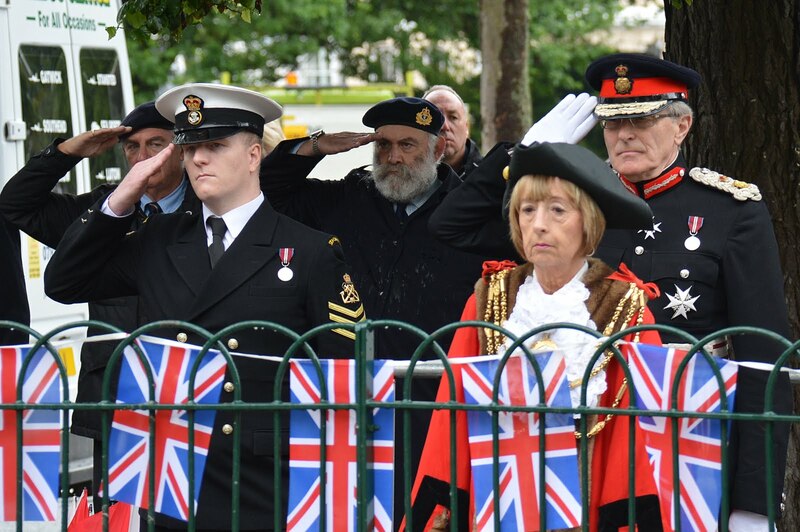 In her closing address, the Mayor expressed her thanks to our armed forces, “Their bravery, diligence and selflessness, is a lesson to us all, and I stand in humility to represent the thanks and gratitude of our city”.